The MG90S Micro Servo motor lets you add more power to your robot projects. It is tiny enough to fit anywhere and can rotate approximately 90 degrees. 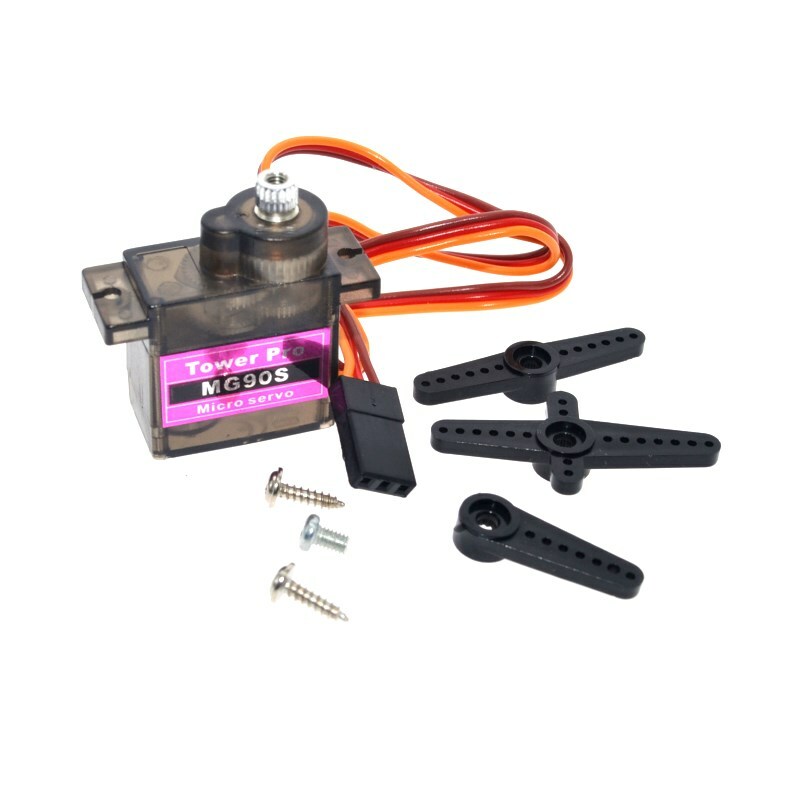 The MG90 Micro Servo motor lets you add more power to your robot projects. It is tiny enough to fit anywhere and can rotate approximately 90 degrees. It will work with any servo code and it is great for beginners who want to make stuff move.